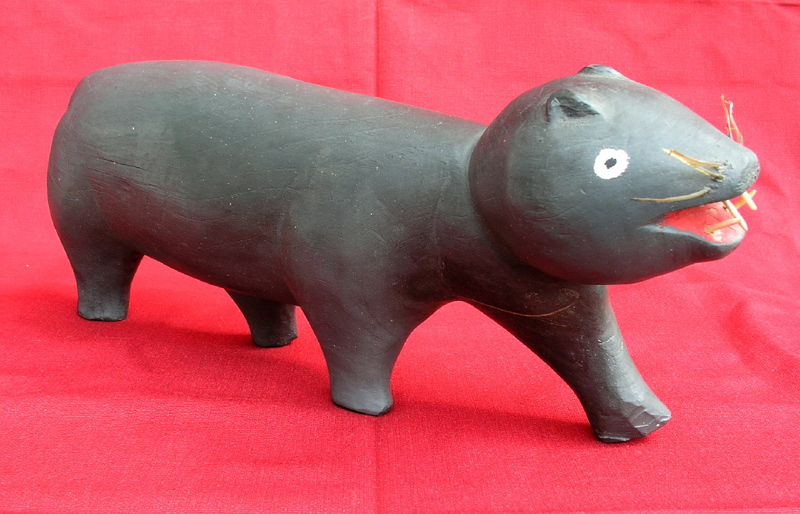 This is a rare carving of a cat by Nova Scotia master folk artist, Charlie Tanner (1904 - 1982). Many collectors consider Charlie Tanner one of the best, and most important carvers to come out of Nova Scotia. 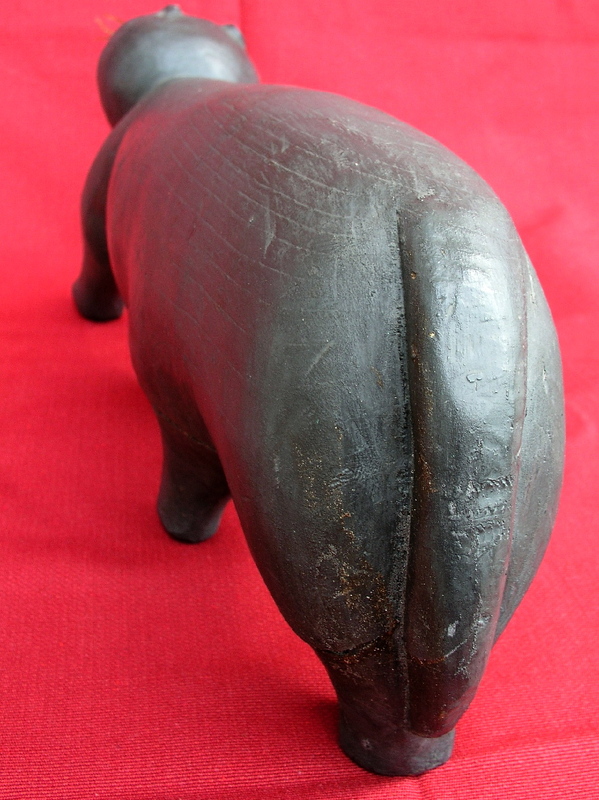 His work is included in the collections of the Art Gallery of Nova Scotia, the Canadian Museum of Civilization, and many private collections throughout North America. 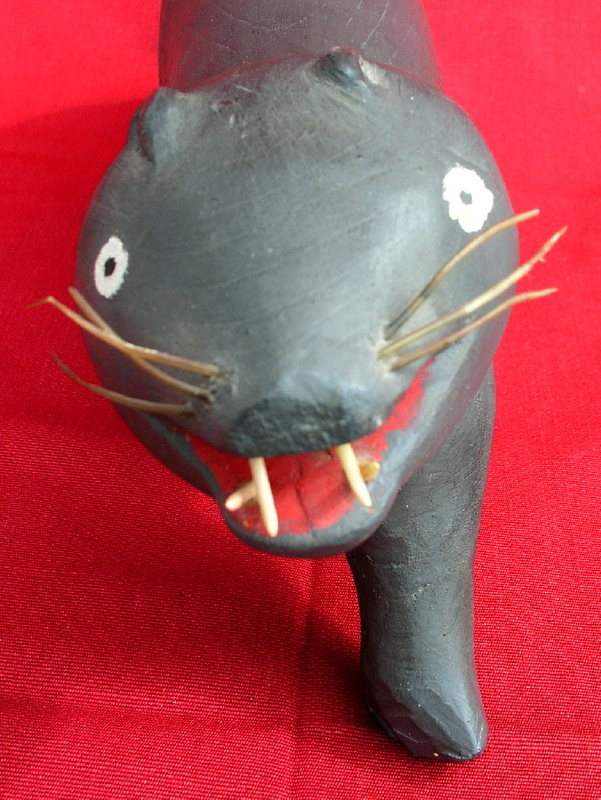 Carved wood with plastic fish line whiskers. 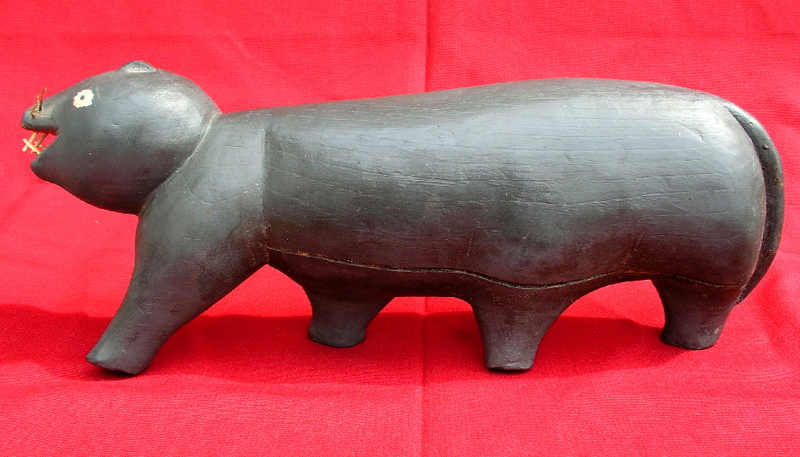 Excellent condition with exception of age crack which runs along the lower left side (filled with coloured wax). 11" long, 4 1/2" wide, 6 1/2" tall.